UALA LUMPUR, Apr 1 — Malaysians with mixed-race parentage will benefit the most from voting along racial lines as they will have more than one representative, Kinabatangan MP Datuk Bung Mokhtar Radin said today. The Barisan Nasional (BN) MP also claimed that the system suggested by Minister in the Prime Minister’s Department Datuk Seri Shahidan Kassim yesterday will ensure justice for every ethnic group in Malaysia. “For those who may have two or three ancestries, they can choose which one they prefer… They can be in both worlds,” Bung said in Parliament here. Sungai is the name of one of the many official tribes in Sabah. PETALING JAYA, Feb 24 — The proposal to remove the race column in all paperwork in the country has been received positively. he Malay Mail yesterday spoke to people on the street and with one voice, they agreed with the suggestion made by Minister in the Prime Minister’s Department Tan Sri Joseph Kurup after the National Unity Consultative Council’s meeting. Engineer Shawn Sreedharan, 25, who is a mix of Malay, Chinese and Indian, said he had to ask his father whenever he had to fill in his race in a form. “My father tells me to choose whichever I want but what defines my race is that I am a product of my father, so I would like to follow my father’s bloodline. The present study aims to explore the role of parents’ ethnic socialization practices contributes to the ethnic identity development, self-esteem and psychological adjustment of multi ethnic children in Sabah, Malaysia. A total of 342 multi ethnic children (age range = 10 years old to 14 years old; mean age = 12.65 years, SD = 0.88) and their parents participated in the present study. The modified version of Multi group Ethnic Identity Measure (MEIM), The Familial Ethnic Socialization Measure (FESM). The Rosenberg Self-Esteem Scale (RSE) and Behavioral and Emotional Rating Scale Edition 2 (BERS-2) were used in this study. The results showed that: i) parents’ ethnic socialization practice was a strong predictor of ethnic identity development of multi ethnic children; ii) parents’ ethnic socialization practice also was a significant predictor of self-esteem of multi ethnic children; iii) parents’ ethnic socialization practice was not a significant predictor of psychological adjustment of multi ethnic children. The results of this study showed the implications parents’ ethnic socialization practices and ethnic identity development in successful multi ethnic families. How can we deny the reality of race? It is a truth so many hold to be self-evident. Travel around the world, from Asia to Africa to Europe to South America: people look different in different places. Travel about in major global cities—Singapore, Hong Kong, Los Angeles, London—and physical diversity is close at hand. It would seem absurd to argue that the visible differences so apparent to our sight are socially constructed. Physiological differences—skin tone, eye shape, hair texture and the like—are not the outcome of our human imagination. The material reality of physiological differences grounds racial categorising. It is used as a point of reference and point of realisation to assert rhetorically the undeniable truth of any given scheme of racial categorisation. The purpose of this article is to emphasise the error of such assertions. I aim also to point out the weakness of arguments for the “social construction” of race, which too often undermine their own case by denying the material reality of visible difference. I outline instead a way to incorporate the material reality of biological difference into an understanding of race as a social construct. My argument is simply this: biological difference is the material out of which our concepts of race are fashioned. These concepts are as many and varied as the diverse cultures of human societies around the world. In the case of race and other identities—such as ethnicity, gender and class—our social constructs are not fashioned out of thin air but out of material conditions. This said, the material conditions do not determine what we make of them—what we construct socially—any more than wood determines the myriad things a woodworker or craftsman might make out of a piece of timber. In the first section of this article, I want to emphasise the socially constructed nature of “race”, “ethnicity” and similar concepts. The idea that race is a sensible way to talk about the material reality of biologically inherited diversity continues to reappear in new forms despite our best efforts to teach students and colleagues about its socially constructed nature. The attempt to depoliticise such concepts, to make them function as objective categories in the service of science or medicine, is a fraught undertaking. Race and ethnicity are deeply political categories, as many investigations into the historical circumstances of their social construction demonstrate. 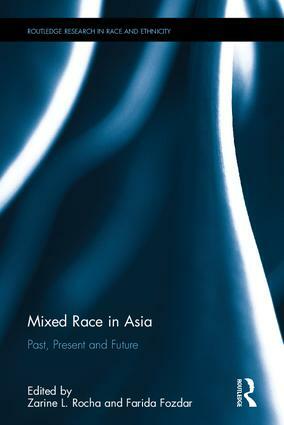 I will discuss this history in general ways in the case of the United States and in some greater detail in the internationally less well-known case of Malaysia, with the development of the concepts of bangsa in Malay and minzu in Chinese, which map varyingly and imperfectly onto the English terms “nation”, “race” and “ethnic group”. The imperfection of translation across Malay, Chinese and English itself demonstrates the tenuous relationship between these signifiers of types of peoples and the various extra-linguistic referents—of biology and culture—through which attempts are made to ground and reify such concepts as “race” and “ethnicity”. The psychology student at the Management Development Institute of Singapore has a Eurasian father and a Malay-Javanese mother. Both of them are Singaporeans. She is the younger of two children and has relatives in Europe, Australia, Malaysia and Indonesia. Her family lives in Marsiling. She studied at Si Ling Primary School and Woodlands Secondary School. Q: How has your mixed heritage shaped your identity? I did go through an identity crisis phase in my early years of growing up, but I’ve learnt that race is just one aspect of my identity. I’m not a stereotypical Malay and neither am I too ‘Eurasian’. I am a blend of these two cultures and their values. Q: What are the pros and cons of having a mixed heritage? What kind of challenges have you encountered? One possible advantage would be the number of festivals I get to celebrate – Christmas, Hari Raya and even Chinese New Year. It’s like I’m part of every race. I get presents and red packets more than once a year, a double plus point. Being mixed also means that your relatives have different religions. For example, I am a Muslim and there are certain food and drinks that I can’t consume when I attend family functions. But I’m never excluded because of that. I’m very thankful for a thoughtful and understanding extended family who takes me for who I am.